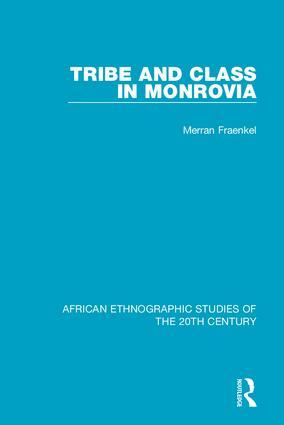 Originally published in 1964, this book analyses the unique type of social stratification which is more akin to a social class system in Monrovia, Liberia's capital. Liberia, established in 1847 has no history of rule by a colonial power and is of perculiar sociological interest, having been governed until the first half of the twentieth century by a minority group of immigrants from America and their descendants. The bulk of the population, however, is made up of members of about 20 tribes, between whom and the American descendants a caste-like social system has developed.